Comfort, ergonomics, style, and sustainability. We have seating options from countless manufactures to match your style and budget. Let us help you create the perfect, cohesive space for your team with workstations that work for them. 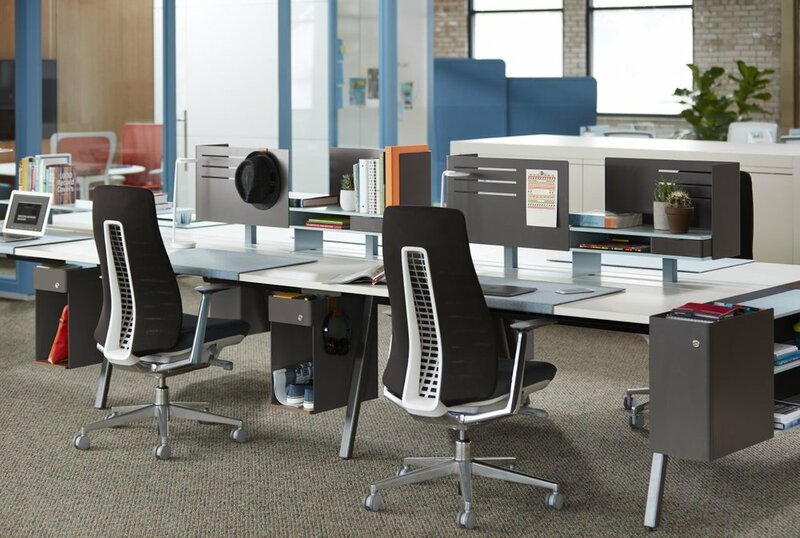 Fully customizable systems allow you to get the privacy and style you need to enchance performance and productivity. Conference, collaborative, or breakout there are countless solutions to fit your space with the features your team wants. Movable walls provide a customizable space with all the benefits of traditional walls. They are 100% reconfigurable and can be easily change with a growing business. What better way to compliment your space with custom accessories that work for you. A place for everything and everything in it's place. We've got all your storage needs to keep your space neat and tidy. Height adjustable surfaces, monitor arms, keyboard trays and so much more will keep your team comfortable, productive and healthy. Investing in ergonomic products has been shown to increase engagement and reduce overall healthcare costs. Lighting solutions not only provide an aesthetic appeal but they also have shown to reduce eye fatigue. We have been a preferred Haworth partner since 1980, and we've earned the very selective “Best in Class” distinction - an honor only 5 percent of partners receive - five years in a row. Haworth is recognized as a global leader in the design and manufacturing of office furniture and organic workspaces, including raised access floors, moveable walls, systems furniture, seating, storage and wood casegoods.